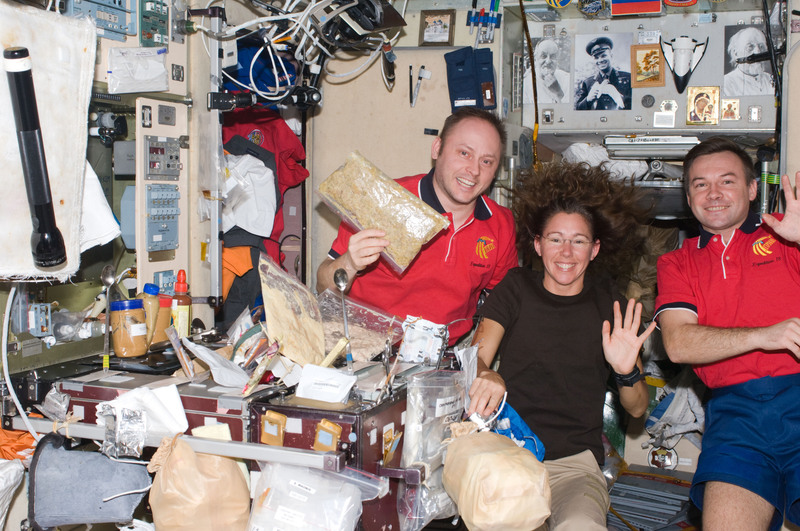 But spare a thought for the astronauts on the International Space Station (ISS), who will be eating their Christmas dinner out of cans and pouches. The menu has not been revealed yet but if past Christmases are anything to go by, it will most likely be turkey with corn bread stuffing, alongside green beans and mashed potatoes. There may even be fruit salad, cranapple or chocolate cake, depending on the preferences of the astronauts. Currently aboard the ISS are Scott Tingle, Mark Vande Hei and Joe Acaba of Nasa, Anton Shkaplerov and Alexander Misurkin of Russian space agency Roscosmos, and Norishige Kanai of the Japan Aerospace Exploration Agency (Jaxa). 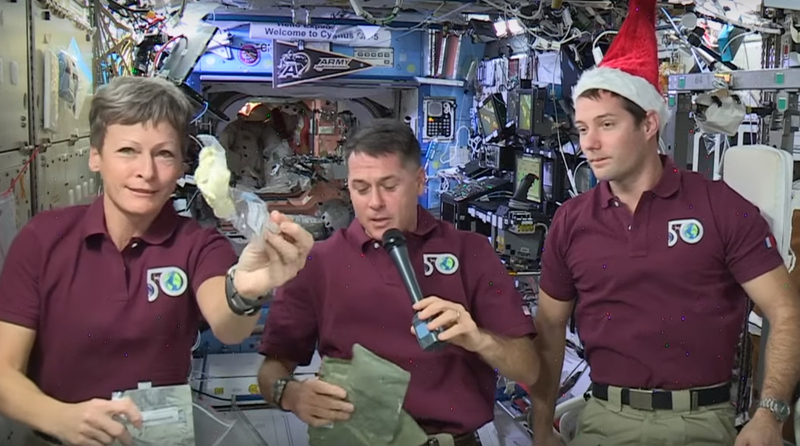 Last year the European Space Agency’s Thomas Pesquet shared his French Christmas dinner of ox tongue, chicken supreme with morels and gingerbread with his fellow astronauts. And in 2015, Michelin-starred chef Heston Blumenthal teamed up with the UK Space Agency, the ESA and Nasa to design meals for British spaceman Tim Peake, which included his Christmas grub. Peake, who had only been on the ISS for nine days, tucked into Blumenthal’s bacon sandwich on Christmas morning and a pudding later in the day. But unlike our goose fat roast potatoes and honey-roasted parsnips straight from the oven, the astronauts’ meals will come out of dehydrated packaging and tins. 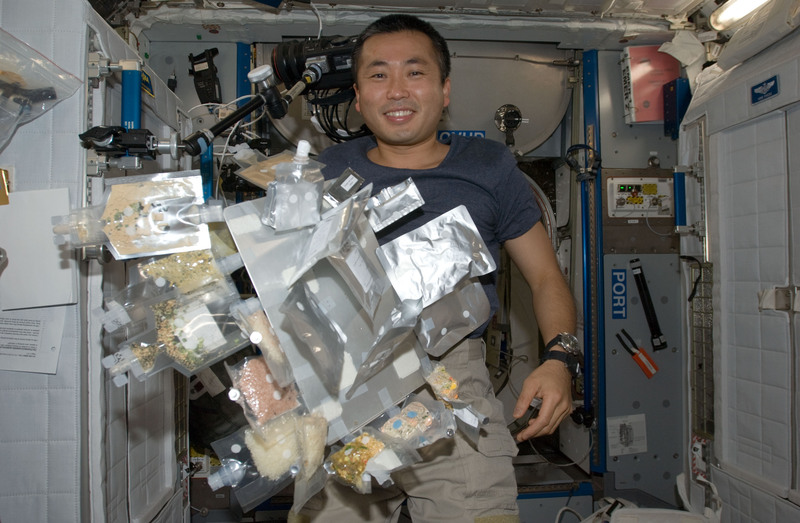 Vacuum-packed food and drinks make up much of the menu because water, a by-product of the spacecraft’s fuel cells, is abundantly available for food preparation. 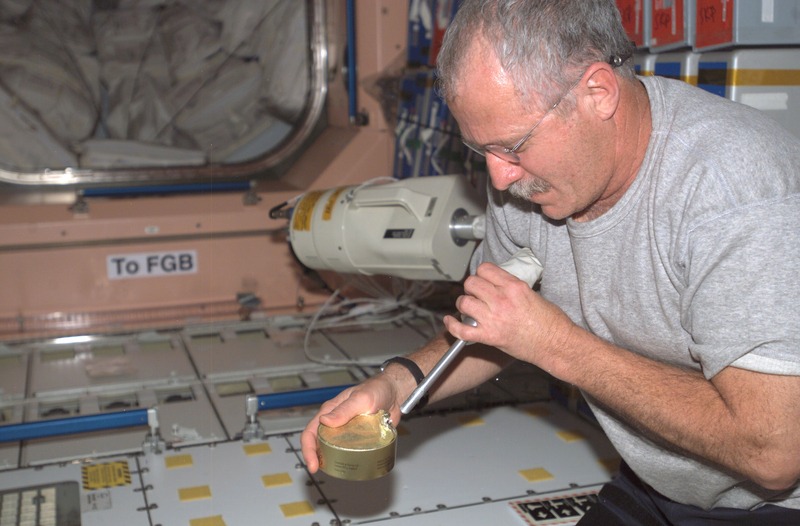 It also ensures any crumbs or spillages don’t damage the spacecraft’s priceless equipment. The astronauts also have to bear in mind that dirty living conditions can spread germs faster in space due to reduced gravitational pull. Using food and drinks that are rehydratable (with the help of a water gun) significantly reduces the weight of the shuttle and, consequently, saves on fuel consumption during lift-off. There are condiments available – such as ketchup, mustard and mayonnaise as well as salt and pepper – to enhance flavour, but salt and pepper have to be suspended in liquid so the particles don’t float away. 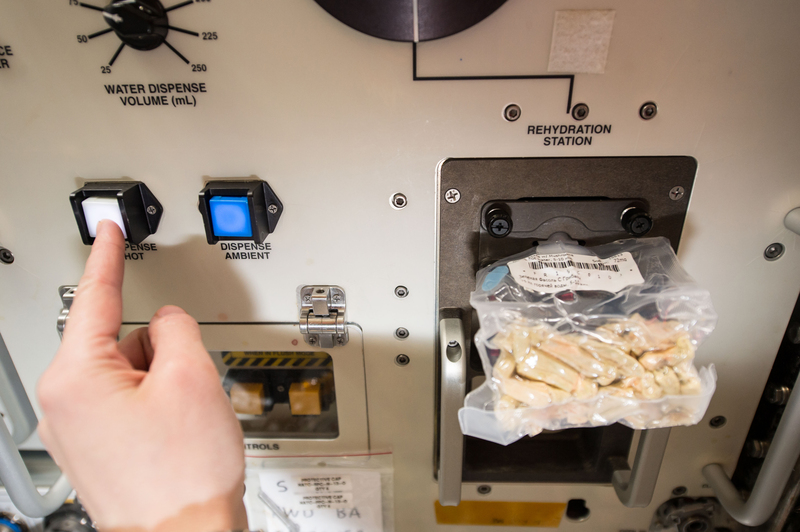 There are no refrigerators in space, so space food must be stored and prepared properly to avoid spoilage, especially on longer missions. All foods are stowed in locker trays at room temperature and vacuum-packed using a freeze-drying technique which freezes the food and then reduces the surrounding pressure to allow the frozen water in the material to transform directly from the solid phase to the gas phase. Depending on whether hot water is available in the shuttle, astronauts may often have to eat their food cold. If there’s one festive treat that astronauts can’t have in space, its alcohol – unless it is for a justifiable scientific experiment. Two years ago, a Japanese distillery sent whiskey to the ISS to find out how zero gravity influenced the flavour. One experiment currently aboard the station is from Budweiser, in which the brewer – eager to serve the first brews on Mars – wants to see how well barley seeds sprout in weightlessness. Unfortunately for the astronauts, the process does not involve drinking beer.